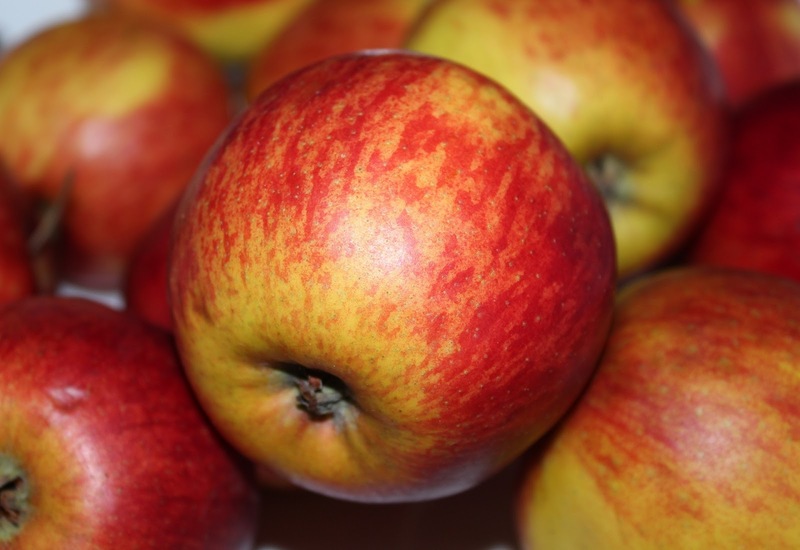 We stared at the 12 totes full of apples and debated what to do. How to get the juice out of the apples? We considered whether this would be an ongoing problem for us or whether it was a one-time thing. We thought about the other person who had come by the juicing place with her car full of apples at the same time we were there. She also left disappointed and wondering what to do. Was there a market for juicing here? 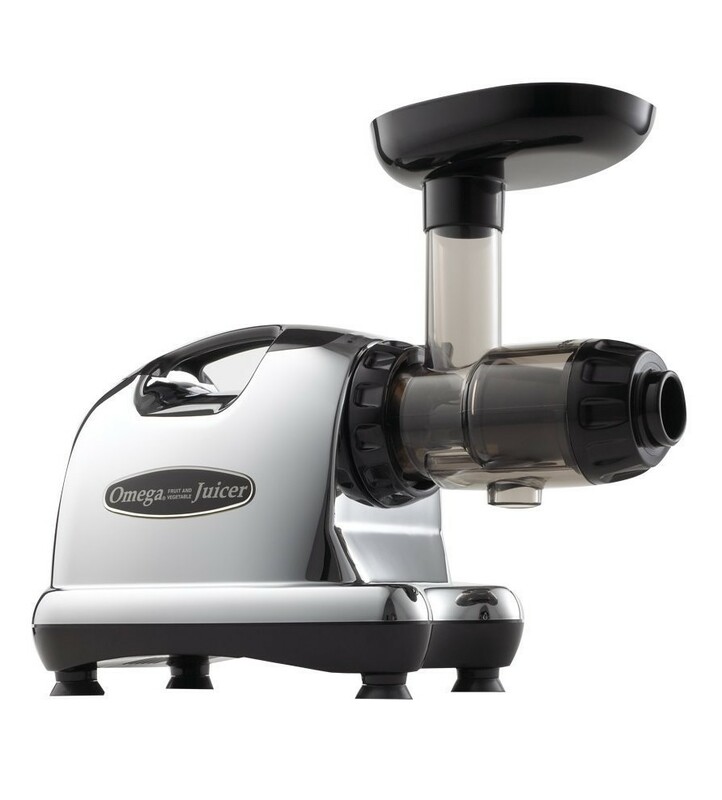 Should we invest in a commercial scale juicer? Time for research! I read through some cidermaking websites to see what kind of juicers they recommended. Marcus scrolled through UsedVictoria (Victoria's version of craigslist - Victoria has never gotten into craigslist, don't ask me why) for juicers. We found one convergence: this little beauty. The Omega J8006 Nutrition Center Juicer. What a name! The Omega did a fantastic job. If anyone is wondering about a home juicer, I'd highly recommend this one. Its a workhorse, powerful and well built. Its a low rotation, masticating one so the juice isn't heated from friction (no degradation of vitamins and the juice tastes super fresh) and the amount of juice this baby got from the apples was astounding. Downsides were that it worked best with small cubes of apple (so lots of chopping) and I had to stop and clean out the (extremely!) dry fiber fairly often. This wouldn't have been an issue if I wasn't juicing hundreds of pounds of apples in a hurry :-/ . However, after a week of chopping and juicing apples, I had sore wrists, sore feet, and was going to scream from tedium. I'd listened to who knows how many podcasts and playlists but only managed to work my way through 1 of the totes... I was so done. Plus another problem had arisen - I'd filled almost all the empty jugs we had. 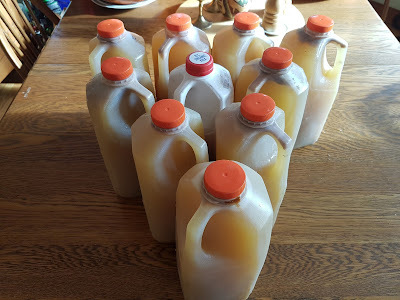 If the juice harvest continued at the same rate we were going to need about 80 more jugs! As well, the apples were starting to soften so they needed attention soon. On the upside, I had tons of juice for cider! 22 liters already and there were 2 more totes of cider apples to go. So, the family got together and decided we were going to kill the remaining apples in one afternoon. Spoiler alert, we did it! Next post on how.